As developer of three hospitals in this country, the Blackrock, Galway and Hermitage Clinics, I have learned significant lessons from these experiences. Such lessons prove that the choice of the St James’s Hospital site to locate the proposed children’s hospital is ill-founded and inappropriate. The site, when cleared, is reported to be twice the size of the Mater site. However, the constraints in relation to access, parking, sewerage, height, lack of a green environment and most of all the lack of potential for further expansion and development automatically should have ruled it out as a choice. I have previously presented 22 major reasons for its unsuitability. Construction costs on this site alone will add a minimum of €150 million compared to a green field site. An ideal site exists adjacent to an adult teaching hospital at Blanchardstown, where a maternity hospital can also be co-located. Planning and designing modern medical facilities that are to serve the children of our nation for the next half-century require considerable flexibility. The Blackrock Clinic in its 25 years has doubled in size. 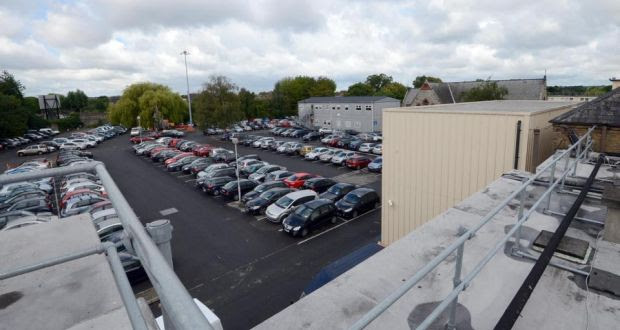 The parking demands have more than doubled with the addition of a multi-storey car park on adjacent land. This is despite excellent public transport, both bus and Dart routes. The Galway Clinic in 10 years has already had six additional construction programmes, including trebling of the parking requirement, the addition of a 50 per cent increase in its accommodation, doubling its daycare facility, as well as other new facilities. The architectural firms proposed to design the new hospital include an international firm BDP which has been involved in the design of the new Alder Hey Children’s Hospital in Liverpool. This has been described as the hospital in the park. The architects have stressed the need for open space, a green environment for the children to enjoy, and low rise buildings. Could anything contrast more with what is proposed for the St James’s site? Efforts to express my concerns to the previous minister of health, James Reilly, have been unsuccessful. He was unable to meet me since last December despite numerous requests. I have also written to the Taoiseach and all members of the Cabinet, and have unsuccessfully attempted to arrange a meeting with Enda Kenny over the past six months, both to express my concern, and on a positive side to offer my support to spearhead a state of the art world class hospital on the site at Blanchardstown, on a philanthropic basis, with a small group of like-minded concerned citizens. This would also be co-located with an adult teaching hospital. My request for clarity under the Freedom of Information Act as to where the €37 million was spent on the design for the failed Mater proposal, has been unanswered, despite sending my €15 in the envelope! Perhaps no one knows where the money went to and that would explain the lack of response. Eight months is a long time awaiting a reply. A new hospital on the St James’s site can be squeezed in, but is it appropriate? As a nation this is a decision that future generations will regret forever. If this project proceeds it will prove to be the worst decision ever made in hospital planning. Our new Minister for Health has an opportunity to review the situation and prevent a catastrophic error in planning our future health infrastructure. These are the major reasons why St James’s is unsuitable. nThe proposed children’s hospital is four times the size of the previously proposed co-located hospital. This resulted in over 50 objections to the planners. nProposed size is 108,000sq m. To accommodate this building nine storeys in height will be required in places. Adjacent houses are two-storey. nDemolition of numerous existing buildings is required.These include Hospital 7 (50 beds), staff restaurant, pharmacy, physiotherapy and rheumatology departments, chapel, speech and language therapy, and veins unit. A minimum of 50,000sq m is required for expansion in the short term, and is not available. nInadequate car parking. Some 2,500 slots required initially for the children’s hospital alone. Between 750 and 1,000 slots are planned, none for the staff. nSome10,000 car movements will be generated daily by the children’s hospital on a site that already can take 45 minutes to exit at busy periods.On street parking on already crowded roads will lead to further congestion. nNo space for helicopter access at ground level and rooftop landing is far from ideal. nThe Drimnagh sewer runs from north to south on the site. Two sewers run in 8 and 10 metre tunnels. Sewers attract numerous rats to the site. nNumerous other unmapped services run across the site and require to be located and diverted. nTo accommodate parking three underground levels need excavation. This adds hugely to the cost of construction, undermines adjacent buildings, necessitates high energy costs on an ongoing basis for lighting and mechanical ventilation. Even with these spaces parking capacity is totally inadequate. nInaccessible city site increases construction costs by approximately 10 per cent. nUtilisation of the St James site for the children’s hospital will prevent further development of the adult hospital and more importantly a collocated maternity hospital. How many more reasons do we require to realise the magnitude of the inexplicable choice for the location of the new children’s hospital. It is still not too late for the Government to admit it erred and reverse its decision.